The poor maligned feet. Nobody thinks much about feet; we take them for granted. We stand on them for hours, we pound the pavement when running or walking and we bend them and squeeze them into pointy-toed stilettos until they scream for mercy. When your feet hurt, they can stop you in your tracks. Relief is close at hand. Dr. Rahn Ravenell at Coastal Podiatry is dedicated to helping with all your foot problems. He started at The Athlete’s Foot, fitting shoes for customers, but, after attending a health careers fair and learning about the field of podiatry, he was hooked. Here was a career path that would build on his experience and allow him to step into medicine. “I liked podiatry and I was interested in surgery,” Dr. Ravenell said. Dr. Ravenell, and his wife and partner, Dr. Tamika Ravenell – they met while attending Temple University in Philadelphia – opened Coastal Podiatry at the foot of the Ravenel Bridge to treat a multitude of foot issues. Diabetics may lose feeling in their feet or suffer from blood flow problems, which can cause wounds to be unnoticed and increase the risk of infection and even amputation. Flat feet, which can be an issue for many people, especially for younger patients, is a treatable condition. Children can benefit from early intervention, according to Dr. Ravenell, who pointed out that surgery can help the foot bones grow properly. Bunion surgery is also common. Bunions are those bumps on the side of your foot that can become prominent as well as painful as the big toe turns toward the second toe. “High heels can accentuate bunions, but they are often genetic,” said Dr. Ravenell. Perhaps the most common complaint is heel pain. The diagnosis is usually plantar fasciitis, which is caused by inflammation of the bands of tissue that connect the toes and the heel. It can be most painful in the morning, easing as the day goes on. Other common conditions include athlete’s foot, hammertoe, neuromas, fungal infections and sprains. Dr. Tamika Ravenell specializes in geriatric conditions and visits retirement communities and nursing homes around the area several times a week. How can you avoid foot problems? Start by wearing shoes that offer support and fit properly; if you wear heels, alternate them with flats. Be sure to wash your feet every day to prevent the growth of bacterial and fungal infections. To prevent dry, cracked skin, try moisturizing with a cocoa butter cream. For extra care, rub an emollient-rich cream on your feet and put on socks before you go to bed. Remember that feet benefit from exercise such as walking. And if your feet hurt while walking, call Coastal Podiatry for an appointment. Coastal Podiatry Specialty Foot Care and Reconstructive Surgery is located at 180 Wingo Way, Suite 201. 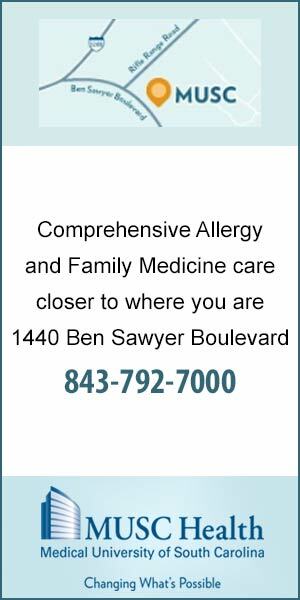 For an appointment, call 843-856-5337; a referral isn’t necessary. 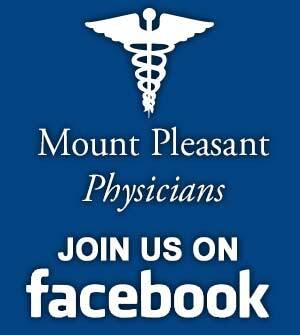 Additional information about the practice, foot care issues and services is available at www.MtPleasantFootDoc.com.